The Rebel Sweetheart. 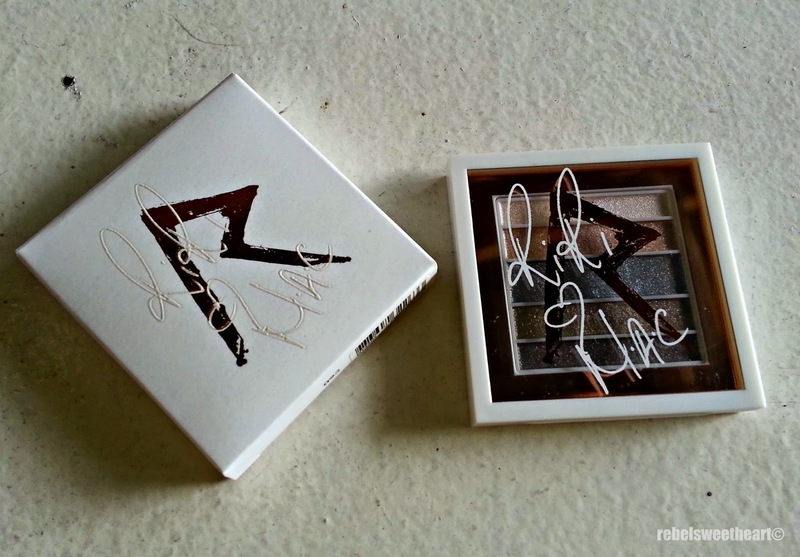 : Spotlight | Riri Hearts MAC Veluxe Pearlfusion Eyeshadow Palette. 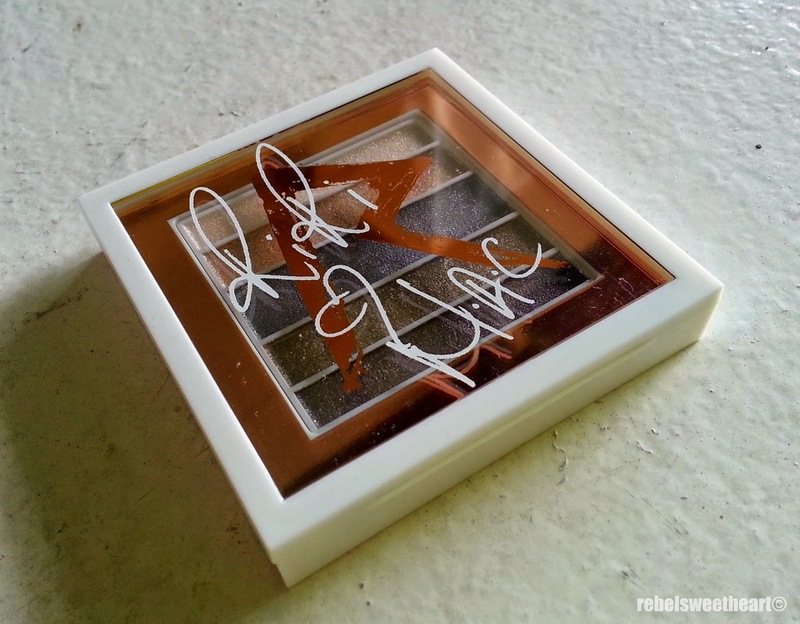 Spotlight | Riri Hearts MAC Veluxe Pearlfusion Eyeshadow Palette. Made with the Veluxe Pearlfusion eyeshadow formula which can be used wet or dry, this palette features silvery grays and muted browns that are noticeably shimmery and frosty. 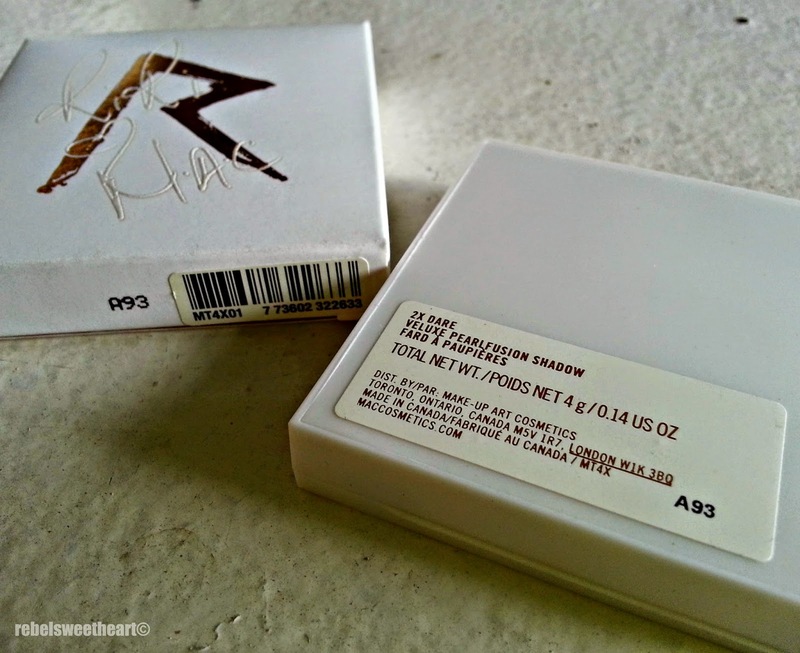 The packaging is simple yet exudes an aura of elegance - white palette, rose gold detailing, and a clear lid with Riri's logo and signature. The topmost shade is a bright, frosty white with metallic finish. The second shade is a muted, golden bronze with a metallic, glittery finish. It's too glittery that it tends to get all chunky and patchy when applied. The third shade is a cool-toned, grayish taupe with a bit of bronze and silver sparkles. The fourth shade is muted brown with a bit of sparkle to it. I love how this particular shade changes finish depending on how it is applied - semi-opaque when worn dry, and completely opaque when worn damp. And finally, the bottom shade which is a cool-toned brown with plum undertones and a teeny, tiny bit of pearly shimmer. A closer look at the shades. 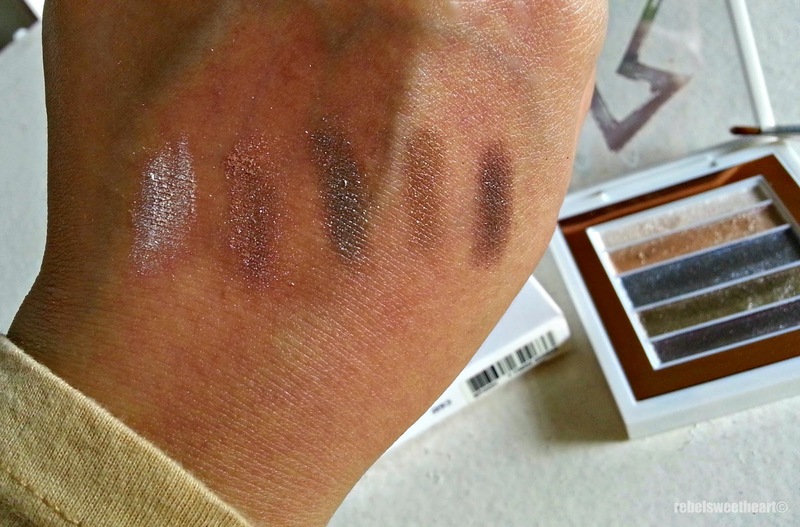 Here's how the shades look like when swatched. This palette retailed for $44 (around Php 2000) when it hit the market last year, I believe the price is still the same, though I can seem to find this item the last time I checked the MAC website. I have heard great things about MAC cosmetics. I haven't used any. My favorite eye shadow came from ulta. Such beautiful eye shadow, I'd love to have those for myself! Not too fond of make-up but this one by MAC has gorgeous palette! Love MAC! My teenager would definitely love these colors. This is awesome eye shadow indeed. I would love to have this because I love the metallic colors. Thanks for sharing. Last year or not--still is wonderful I love the shimmer too! Gorgeous! Really an amazing collection of eye shadow. 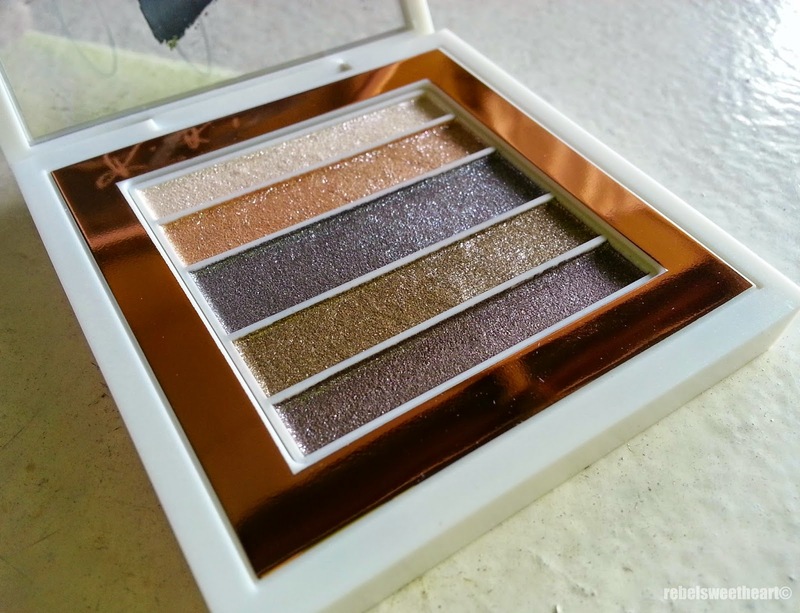 I love metallic finish and silver sparkles in eye shadow collection. I have to check this out for myself! Thanks for sharing. Foodie Goodie | Sauteed Bokchoy with Tofu. Inspiring success through world-class education. How To Choose the Right Pool Fencing in Brisbane. Wordless Wednesday #110 | Maggie and Me! Blast from the Past | Singapore Once More! Blast from the Past | Singapore Adventure! Foodie Goodie | Pepper Lunch. Pucker Up! | GAP Lip Gloss. Wordless Wednesday #109 | A Cowabunga Birthday! Spotlight | Liposome Collagen+C Serum. 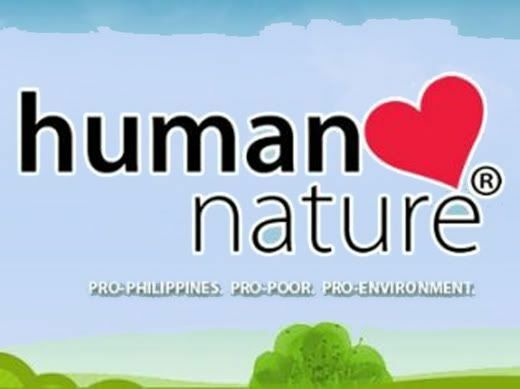 After Haiyan | A Journey to Wonderful. Wordless Wednesday #108 | Happy Birthday, Yue! Shakey's Birthday Party | Heroes, Pizza, Fun! Globe Telecom + NBA | Basketball as you want it. Weekend Fun at Playa Laiya. Wordless Wednesday #107 | Little Ninja. One FC: Warrior's Way | New Fights Announced!